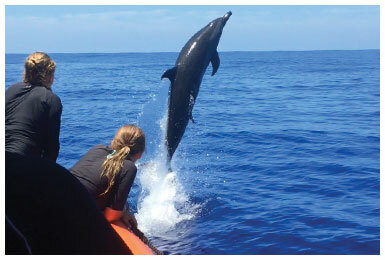 Visit Lanai’s sea caves, blow holes, pristine reefs, dolphins & turtles. 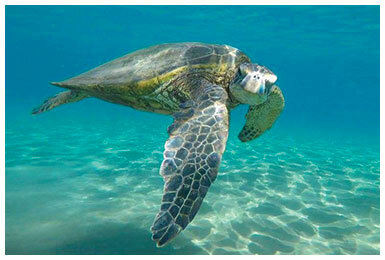 Includes snorkel gear, breakfast & lunch, and personalized instruction with tons of fun. 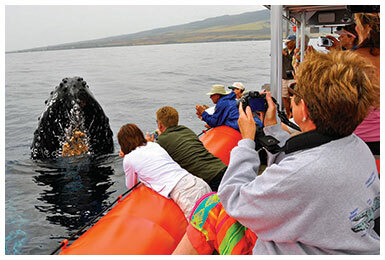 Front Row Views • Smooth Fast Ride • Guaranteed Whale Sightings • Hear the Whales Sing • Shaded Deck • Underwater photo opportunities • Turtles & Dolphins • Cushioned Seating with Backrests. The perfect way to go for families, groups, conventions, corporate meetings, weddings & honeymoons. Everything catered specifically to your wishes.